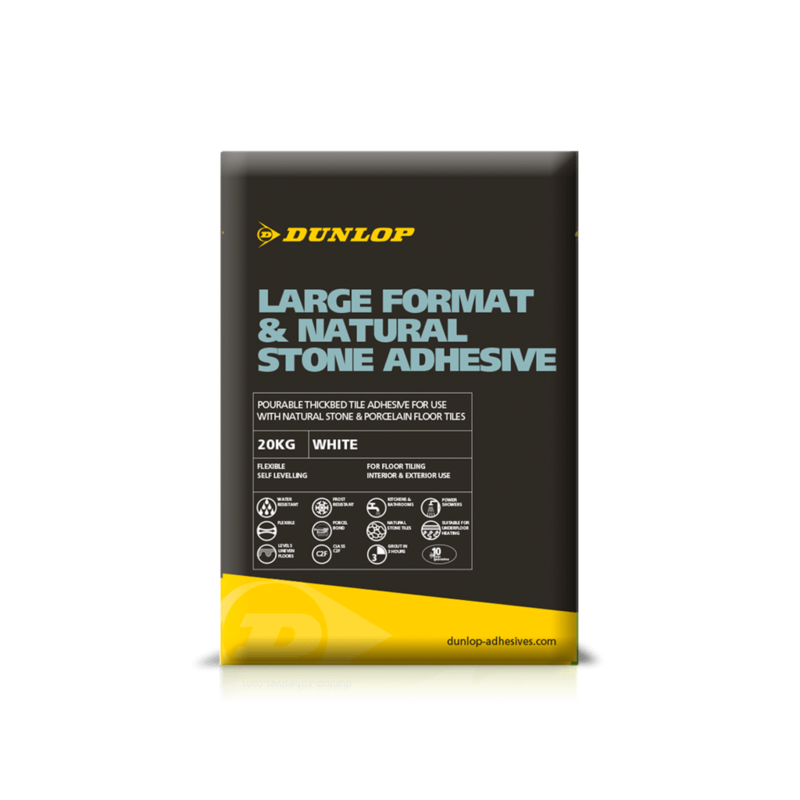 DUNLOP LARGE FORMAT & NATURAL STONE ADHESIVE is a rapid-setting, pourable, thick-bed floor tile adhesive suitable for fixing large format floor tiles, fully vitrified including porcelain, natural stone and terrazzo. 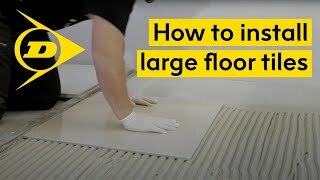 It can also be used to level uneven floors - before fixing tiles a layer of adhesive can be applied up to 25mm thick. Suitable at 3-25mm thickness it is ideal for tiles/slabs of uneven thickness and uneven surfaces. The adhesive is water-resistant and can be used in interior & exterior areas including showers and swimming pools. Tiles can be grouted after 3 hours. Depending on the nature and flatness of the surface but on a level background the amount of adhesive required will be: at 5mm thickness approx. 8.75kg/m², at 10mm thickness approx. 17.5kg/m², at 25mm thickness approx. 43,75kg/m².